Further adventures of Nigel and Nell as Monty Don, the UK's favourite gardener and Sunday Times bestselling author of Nigel, looks at the relationships between dogs and humans and the incredible support dogs can provide for human health. Further adventures of Nigel and Nell as Monty Don, the UK's favourite gardener and Sunday Timesbestselling author of Nigel, looks at the relationships between dogs and humans and the incredible support dogs can provide for human health. 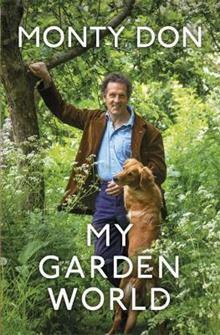 Dogs have always been central to Monty Don's life, and there have been many over the years, but it's fair to say that none has been quite as famous as Nigel. A star (some might say the star) of Gardeners' World, Nigel has a special place in the hearts of viewers. Monty Don looks further at this special relationship that we have with our dogs and how they have played such a crucial role in his own life. Companions, healers, friends, offering no judgement - just love and loyalty. In this heart-warming memoir Monty celebrates that love and the enormous support Nigel and friends have given him.